In the year since her arrest and death in Waller County, Sandra Bland has powered the push for criminal justice reforms in Texas. The impact her case will have during the next legislative session remains to be seen, but activists, law enforcement officials, policymakers and analysts — people often at odds — all predict that her death will move legislation on mental health and criminal justice. It began when former Department of Public Safety Trooper Brian Encinia stopped Bland near the Prairie View A&M University campus on July 10 for failing to properly signal a lane change. After a heated argument, the trooper arrested Bland for assaulting a public servant. 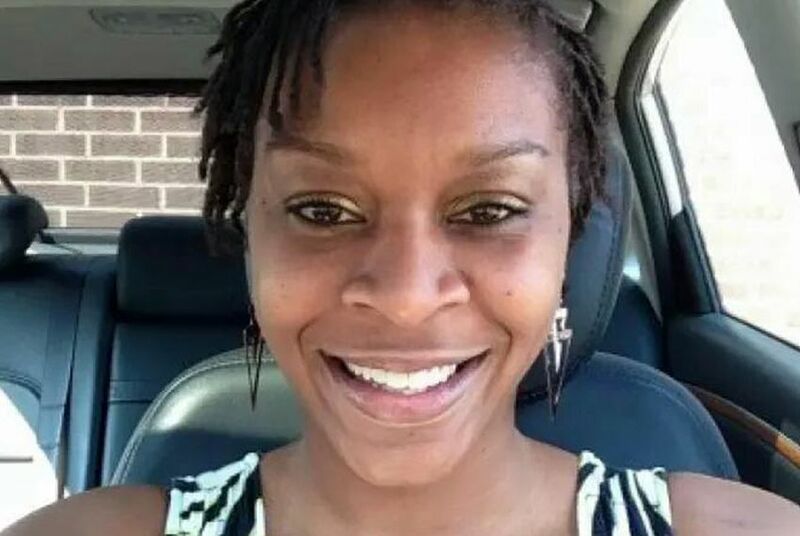 Three days later, she was found hanged in her cell at Waller County Jail. Her death was ruled a suicide. The circumstances of Bland's arrest, which was caught on dashboard camera video, spurred a national discussion about race and policing. The FBI and Texas Rangers investigated, Bland's mother filed a wrongful death lawsuit, legislative hearings were held and the screening process for new inmates in Texas county jails was changed. DPS Director Steve McCraw began the process of firing Encinia in January after a Waller County grand jury indicted him on a perjury charge. The panel concluded there was evidence Encinia lied about the circumstances under which Bland exited her car. Attorneys for Encinia's criminal case have said there is a misunderstanding of police procedure and that their client did nothing wrong. He has pleaded not guilty and is awaiting trial. In federal court, Bland's mother, Geneva Reed-Veal, is suing Encinia, Waller County and several of its employees. After a year, Bland's survivors are still searching for answers, said Cannon Lambert, the family's attorney. The family feels no comfort as the anniversary looms, he said. "We want [Bland's family] to know what the FBI knows. We want them to know what the Texas Rangers know," Lambert said. "We want them to know what Waller County and all of the other defendants know. That's been a major desire of the family from the outset. We also want to hold those responsible for her passing accountable. We have to do that one step at a time." When she was screened after entering the Waller County Jail, Bland reported having had suicidal thoughts in the past, but said she was not feeling suicidal at the time. Since then, lawmakers have scrutinized the screening process for new inmates and challenged jails, with new screening questions, to route inmates with mental health issues toward treatment. "When you confine somebody and deny them their liberty in a county jail, you have a duty to protect them and look out for their health and safety, and too often that does not happen," said state Sen. John Whitmire, a Houston Democrat and chairman of the Senate Criminal Justice Committee. Bland did not pose a public risk, Whitmire said. "They knew that she couldn't post bond. They knew she had a job at Prairie View. They knew she had a residence in Waller County," he said. "It's outrageous that she didn't get a personal recognizance bond and agree to appear in court, and she'd be alive today. That experience is repeated often in Texas." Bland's death has raised calls for bond reform, improved screenings for mental illness and guarantees that inmates have access to medical resources. "Once she got to jail — in fact, you could say even before she got to jail – the system failed her," Whitmire said. Some of his legislative colleagues, law enforcement officials, policy experts and activists have echoed the sentiment. During one early hearing on mental health and jail standards, the environment was "electric," said Douglas Smith, a policy analyst with the Texas Criminal Justice Coalition. "This experience of being pulled over and apprehended for reasons that wouldn't have even been jailable in the first place was such a common experience that it brought people together in a way that was really important," he said. "You could feel that in that first hearing. And it was really telling when members of the legislature had also had that experience as well." Bland's arrest and death created a broad awareness of deadly encounters between law enforcement and black individuals, said Margaret Haule, founder of the Black Lives Matter chapter in Austin. "A lot of people across the spectrum of races have expressed interest in volunteering or getting involved or doing something," she said. "There's a lot of people who want to do something. Her death helped to wake up a lot of people to what was taking place in society." Activists have become police and local government watchdogs, reviewing and challenging policies, documenting incidents themselves and looking for alternatives to calling law enforcement during crises, Haule said. "Eventually, we're going to move to a point where officers aren't immune from blatant killings of people," she said. Though the Bland family's focus is on Encinia and Waller County employees, members of the public generally blame either Bland or Encinia for escalating the encounter. Encinia, although he was the arresting officer, is not directly responsible for Bland's death, said Charley Wilkison, executive director of Combined Law Enforcement Associations of Texas. "To make that jump, that's not just unfair, that's just not true," he said. "But the citizens that law enforcement folks interact with are often the people that need assistance. So I think in that regard, there's been some good in more talk about mental health issues, suicidal tendencies." People need to look more at what happens in jails, Wilkison said. "You can blame the officer, you can blame circumstances, you can blame lots of things, but the place to have stopped her death was in that county jail, and that is the place where people are trained the least," Wilkison said. "I'm talking about personnel. They have the fewest resources, they're the lowest paid. They are the lowest in the pecking order of law enforcement." Nationwide, Bland's interaction with Encinia has been lumped into a broader discussion about black Americans' disproportionate encounters with law enforcement. This week, the conversation shifted to police fatal shootings of Alton Sterling in Louisiana and Philando Castile in Minnesota. That discussion turned again Thursday night, when sniper fire killed five police officers and injured several others after a Black Lives Matter protest in downtown Dallas. "Obviously race and policing is a substantial issue. And to hide your head in the sand and pretend like it doesn't exist is just being intellectually dishonest and socially unconscious," Lambert said. "It's a travesty, I think, that so many horrible events that happen to African Americans that are caught on tape end up breaking on racial lines as to how communities feel about them." It's not a reality people should just accept, he said. "There's a need for social activism. It's not something people do because it's fun. You look at what happened down in Louisiana right now," Lambert said. "And there will be people that will say that was justifiable. And to people that would suggest something like that is justifiable, I would say they have parted from an understanding of what humanity is. That was just inhumane."